How is technology affecting our daily life? 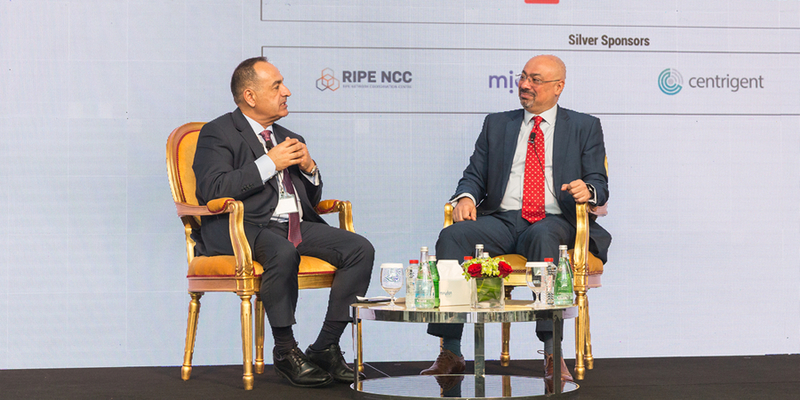 This topic was debated by Toni Eid, Founder of Telecom Review and CEO of Trace Media and Hatem Dowidar, CEO, Etisalat at the 11th edition of Telecom Review Leaders’ Summit which was held on December 10-11, 2018 at The Meydan Hotel, Dubai, UAE. The discussion revolved around the impact of several technologies that the CEO of Trace Media chose to present in a futuristic video explaining how our daily lives have transformed. The video laid the foundation for a very interactive discussion during which Toni Eid raised a series of questions asking Hatem Dowidar about the changes that were brought on by mobile applications, autonomous cars and mobile health, to name a few. On mobile applications, Etisalat’s CEO described how they are now part of our lives. He emphasized the positive impact they’ve had and insisted on countering every argument claiming that mobile applications have negatively affected employment. “Technology is making our lives easier. Applications are creating jobs, so I don't accept the suggestion that the advent of these technologies will have an adverse impact on employment”, he said. Another important topic discussed at this debate was mobile health. The CEO of Trace Media tackled technology’s impact on the health sector and explained how it had made remote medicine possible, thus allowing patients to receive a fast and accurate diagnosis. “The implementation of AI in healthcare can prevent and detect problems in a much more effective way, which makes it more efficient for both the doctor and patient”, commented Hatem Dowidar. However, the two CEOs agreed on the importance of data protection when it comes to mobile health. Patients’ personal data is very critical and have to be protected. Patients need to rest assured that their data is safe online in order to trust mobile health provides. The debate concluded with an outlook to the future and what direction should mobile operators take now in order to get ready for the advent of further new technologies that will certainly disrupt industries and markets.